Blogging is an excellent way to establish yourself as a thought-leader in your industry. A blog allows you to speak to your customers in a natural and meaningful way. You think a blog is just a place to rant about your emotions? Nope! 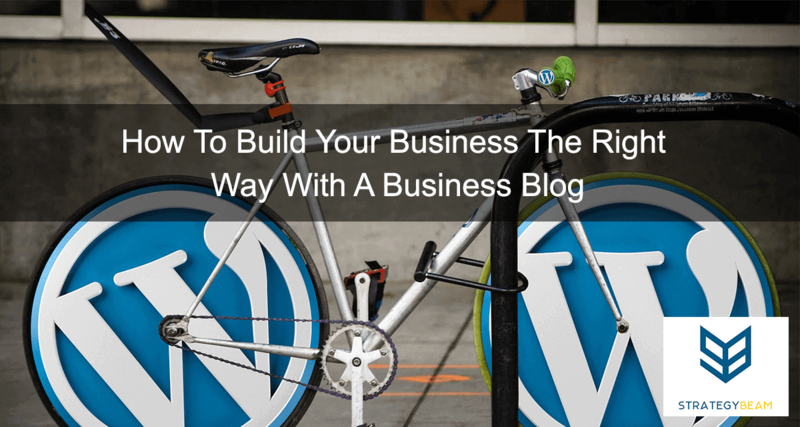 A well-crafted blog provides your business with a unique outlet to reach your audience. A great blog also positions your brand as a go-to source for consumers looking for information that you are an expert on. Your blog is an interactive channel to deliver information to your customers in a fun way. Your blog is a place to produce content that speaks to your audience throughout their personal audience journey. Let’s take a look at how to start blogging for your business! SHUT UP AND JUST START IT! Stop caring about all the little crap. No one cares about the theme, the fonts, the colors, or if your images are optimized for social sharing. The truth is no one is going to read your blog posts at first. Just start producing valuable content and getting it out there. Even though you may not get many readers, in the beginning, there are many benefits for starting a business blog today! The only thing that matters is that you know your industry, and you begin producing excellent content that speaks to the needs of your audience. You can start thinking about all the details once you have a solid body of work to show your readers. Trust me; this is tough. I am the first person to get caught up on the fonts, colors, sidebars, etc. of a blog. You need to focus on the value you are delivering to your audience through your blog. Think about the content and why they want your information and less on the blog itself. As you focus on your audience, your blog will become a valuable resource for your content strategy. Don’t let the blog hinder your ability to help your audience. Always benefit your audience. Use your content through content mapping strategies and build your blog into knowledge that your audience will love! So get out there, stop making excuses and give your audience the information and insight they need to engage with your products and services!